By the end of March I'm just about desperate for spring to get a hold. Each year brings its own surprises, 2013 was thick snow on 27th, last year was warm early. This year it's stormy cold winds have the upper hand. But I have been keeping a beady eye on my favourite patch of wild garlic growing on the far side of our village brook. Yesterday, clad in my wonderful new Dunlop wellingtons crossed the stream to gather some. After steaming it and cooling it for mere moments I made a Korean dressing of soy sauce, toasted sesame seeds and oil and serves it with some home made tofu - my new skill! 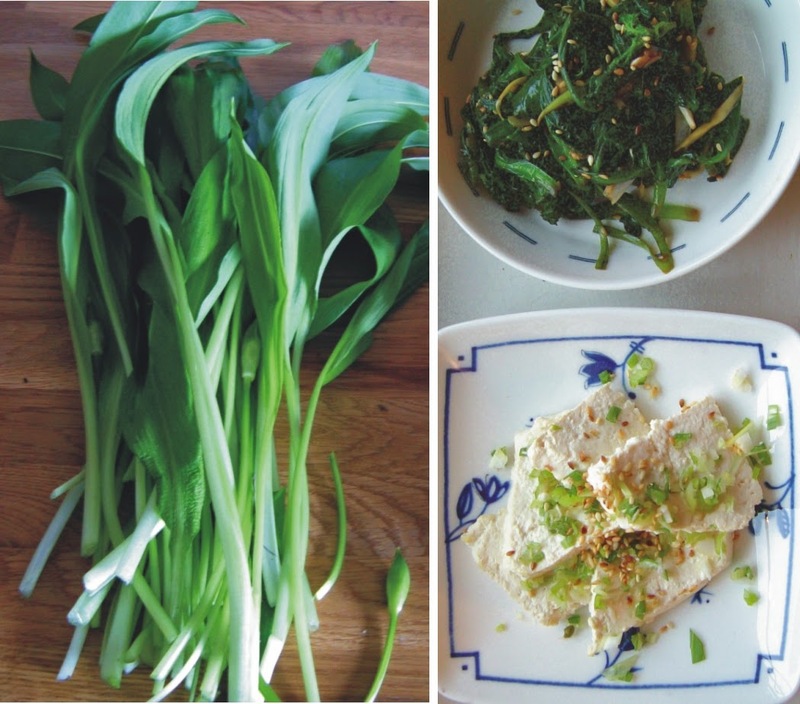 The wild garlic was sweet, crunchy and tender but packed with a punch.